How will EHS Personalize Learning? The stakeholder surveys will remain open from April 1st to Friday, May 3, 2019 at 5:00pm. They can be accessed at the links below. In an effort to engage our stakeholders in a system of continuous improvement, the Lake County School District is conducting our annual stakeholder surveys. District students and parents are invited to participate. All responses are anonymous. The surveys are hosted by AdvancEd, our accreditation agency, and IP addresses are not collected. Parents may submit one survey for each school a child attends. Please make every attempt to answer every question on the survey, so that the survey is archived as completed. We are proud to announce Eustis High School will be Lake County’s Third Digital Discovery School! Every student at Eustis High School will be issued a Chromebook in January that will be used to access online textbooks as well as to participate in collaborative learning in their classrooms. The students will have access to the device at school and home during the 2018-19 school year. Part of this exciting initiative will include a technology fee of $32 per year to cover the cost of the device and provide access to the device after school hours. Since we are launching at the second semester the technology fee will be $16.00 Click here for Frequently Asked Questions. Before a Chromebook can be distributed to your student, a legally binding contract must be signed by the student and a parent or legal guardian. 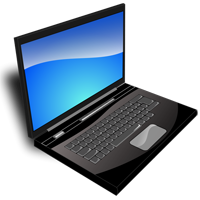 Click here to view the Student Electronic Device Agreement 2018-2019. Students will receive the contract in their English/Language Arts classes, but the form may also be printed using the link above. Only the last page is to be signed and returned to the school. Click here to Pay Your Student Technology Device Fee Online. There is a $.58 service fee to pay the fee online. Class of 2017 Graduation Requirements. To The Home Of The Panthers! Set your preferences to determine how often you receive calls from the district or schools. The next SAC meeting will be held on March 25th at 5:30 pm in the Media Center. Find Eustis High School on Facebook and Twitter! Click graphic for our one page flyer! While we appreciate you celebrating your student's birthday, to help ensure the health and safety of all students, Eustis High School is requesting that no outside food be brought to campus. If you have any questions, you may contact administration at 357-4147.